A Monterey County native, Gaby Marble attended public school in Gonzales before transitioning to Notre Dame High School. She graduated from UC Davis with a Bachelor’s degree in Sociology and Communications, with a minor in English. 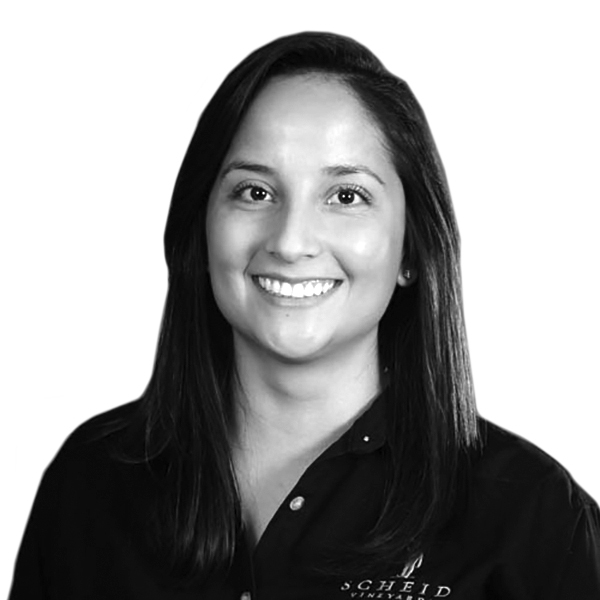 Gaby joined Scheid Family Wines in 2013, left for a short stint in California politics, and then returned to the company in 2014. As Export Sales Manager for SFW, Gaby is responsible for growing the company’s wine portfolio in territories outside of the US including Canada, Europe, and Asia. She currently works with importers in 14 different countries around the world. Gaby is involved in a number of community activities including lifeguarding for the City of Gonzales, volunteering at St. Theodore’s Catholic Church in Gonzales, and coaching the City of Davis Youth Basketball League. When she is not traveling for work or pleasure, Gaby is out enjoying live music, playing slow-pitch softball or taking advantage of the beautiful sights of Monterey County.